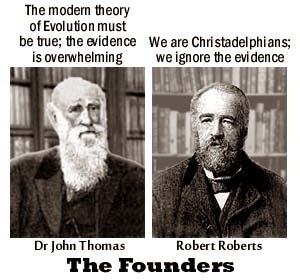 Christadelphianism began because of one man's idea that there was an "apostasy", long ago, that intentionally hid "the truth" for 1800 years, just waiting for him to re-discover it. Our cartoons have proved to be hugely popular. Every time we insert one into an article our page views increase. We shall try to insert a suitable cartoon into EVERY article in the future. If you are offended, be assured that we try to offend as many people as possible and you are not really a target. Please take the humour in the good natured way that it is offered. 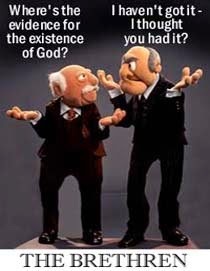 We are using humour to try to break through the bubble of Christadelphian cult thinking and jolt them back to reality. Neville Clark's next major error is in failing to properly define what evolutionary creationists (or theistic evolutionists as Clark and other science denialists in our community persist in calling them) believe. How do Ex-Christadelphians greet each other at Swanwick Weekend. A new poll finds a sharp increase in the number of Americans who consider the Bible merely the teachings of men rather than the word of God. The fourth annual State of the Bible survey was conducted just over two months ago by the Barna Group for the American Bible Society. Swanwick Christadelphian Family Weekend in the UK is scheduled for 2 - 4 ﻿May 2014. 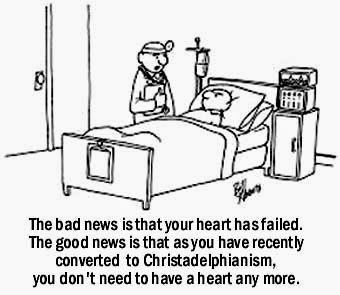 Ex-Christadelphians feel an obligation to young people to warn them of the perils of joining a tiny, extremist, fundamentalist religious sect like the Christadelphians. 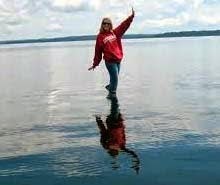 Two thousand years ago and many decades after the death of Jesus, his supporters, who never saw it happen, and not independent witnesses, wrote claiming﻿ that he and Peter walked on deep water in the Lake of Galilee. 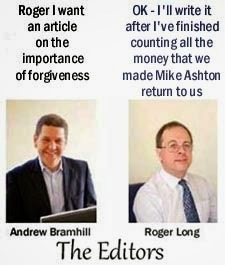 Academics are unanimous that Matthew, Mark, Luke and John could NOT have written the accounts that bear their names. 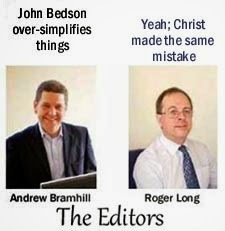 - Christadelphians actually believe that it really happened! To further improve the quality of our discussion, this blog is now a members only discussion group. 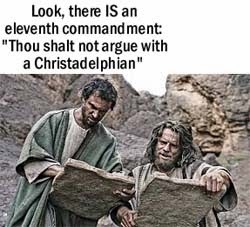 Everyone, including Christadelphians, are invited to become members of the group and they can still use pseudonyms if they prefer. However to prevent abuse, the true identity of members must be known to and approved by the admins of this website.